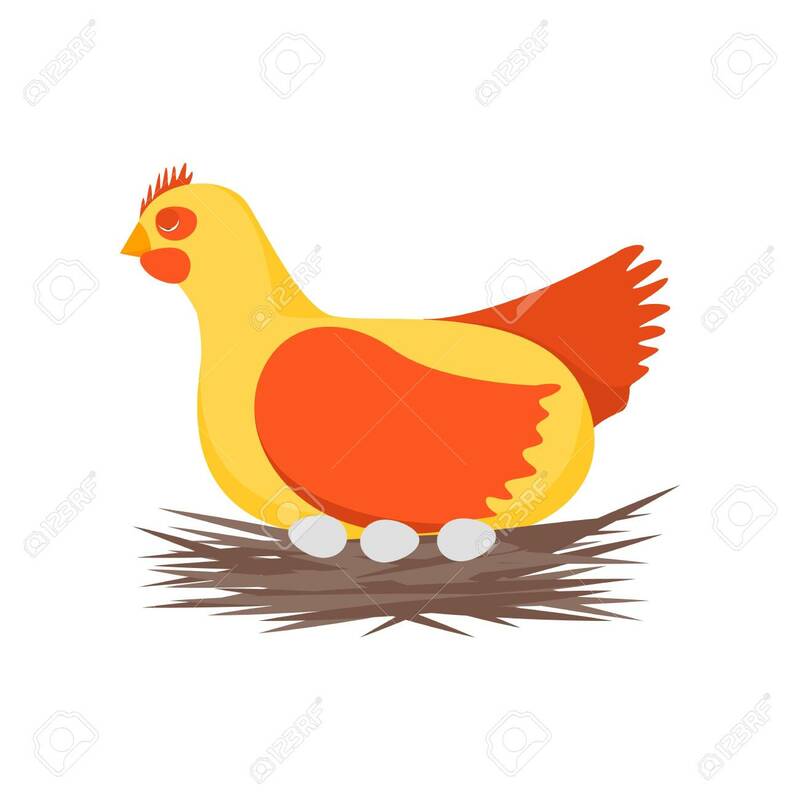 Cartoon Character Happy Hen And Nest Cute Chicken Concept Element Flat Design Style. Vector Illustration Of Character Domestic Bird Lizenzfrei Nutzbare Vektorgrafiken, Clip Arts, Illustrationen. Image 118647840.